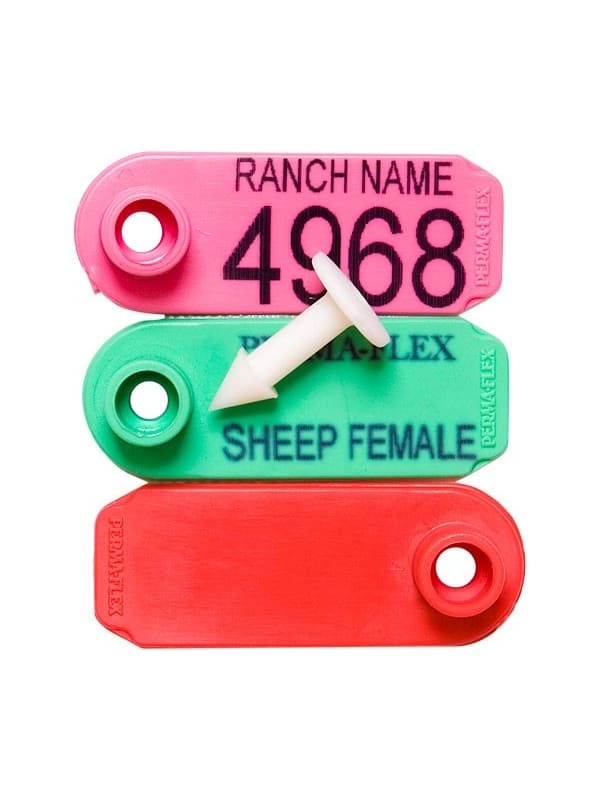 The female portion of this tag come blank and ready for you to apply your own information with the special ink marking pens. The size of the tag can accomodate numbers and some text. 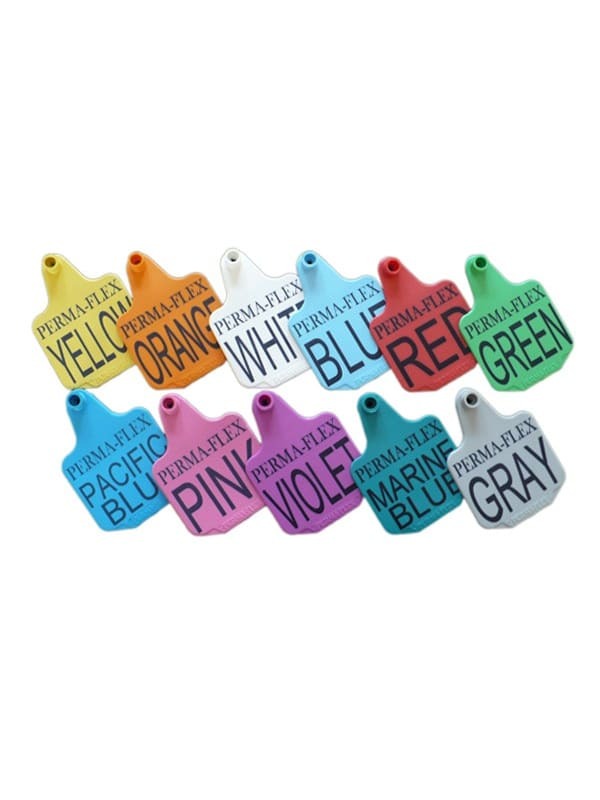 The eight colors allow for coding breeds, years or other items.